New England Patriots wide receiver Chad Ochocinco has a reporter from OCNN (Ochocinco News Network) credentialed for Super Bowl XLVI. During today's media day, Mike Freeman of CBS Sports reports that the OCNN got an interesting response when he asked Patriots quarterback Tom Brady to throw a pass to Ochoinco in the Super Bowl. "Tell him to get open and I'll throw it to him," Brady said. 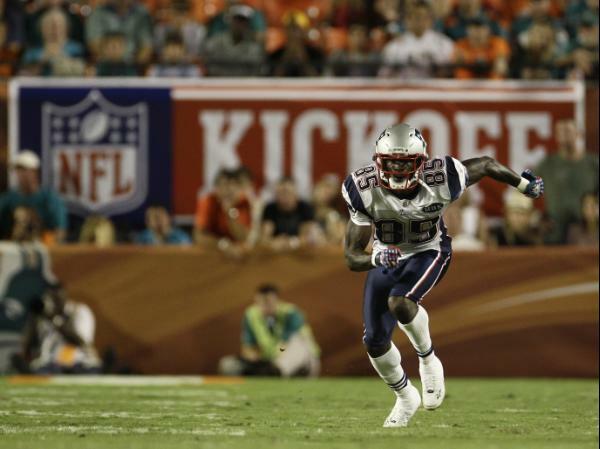 During the regular season, Ochocinco caught 15 of the 32 passes thrown his way for 276 yards and one touchdown. Ochocinco was active, but barely played in the playoff win over the Denver Broncos and was inactive for the AFC Championship Game after missing some preparation time to attend the funeral of his father. Given Ochocinco's lack of roles on special teams, or versatility to play cornerback in a pinch, it's no lock that Ochocinco will be active in Super Bowl XLVI. Bill Belichick gave a dry answer when asked about putting the players in pads for Monday’s practice in Indianapolis, but a couple of Patriots players were a bit more chatty. 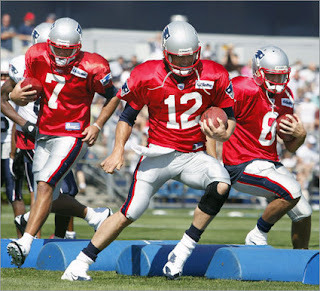 And they all seem to agree that a full-pads practice to start Super Bowl week was the right way to go. Patriots cornerback Devin McCourty said the Patriots wanted to work hard to remind themselves what the goal is. Today the teams are off the practice field and at Lucas Oil Stadium for Media Day. They’ll probably wish they had pads on as they get stampeded by thousands of reporters asking them the same questions over and over. With each passing day, it seems less and less likely that Peyton Manning ever will play again for the Colts. The next question is whether he ever will play again for anyone. On that point, there are ominous indications. Peter King of Sports Illustrated reported during last night’s Pro Bowl pregame on NBC that Manning isn’t doing well. Now, Jason Cole of Yahoo! Sports reports that Manning has not shown improvement in the velocity of his passes since he began throwing again in December. Two unnamed “league-affiliated doctors with experience in spinal fusion surgery” tell Cole that it could take up to a year for Manning to know if he can return to action. As Cole points out, Manning naturally remains optimistic and determined. But if the nerves don’t improve, there’s really nothing he can do. And so while his status with the Colts will be known with certainty soon, everything else about his future will remain uncertain for weeks, maybe months. Maybe longer. 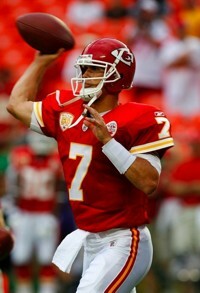 Kansas City Chiefs quarterback Matt Cassel alerted a Village of Loch Lloyd neighbor that her house was on fire, KMBC-TV in Kansas City reports. Cassel lives in a nearby house in the gated community and his wife saw smoke and flames coming from the chimney. Cassel went to the home and knocked and rang the doorball until its occupant was outside. The house received significant damage, but no one was hurt in the Thursday night fire. "I wasn't heroic at all," Cassel said. "I just ran up to the house and alerted them. The real heroes are the firefighters." Who needs a P.R. department when the boss has a Twitter page? With Jason La Canfora of NFL Network reporting that the Colts decided to cut quarterback Peyton Manning “weeks ago,” Colts owner Jim Irsay took to Twitter at some point after midnight Sunday to respond. “No he hasn’t been released nor was a decision reached weeks ago,” Irsay said. The first part is a little odd because no one is reporting, or has reported, that Manning has been released. In fact, no current players from teams whose seasons have ended can be released until after the Super Bowl. Regardless, no statements from the team’s P.R. 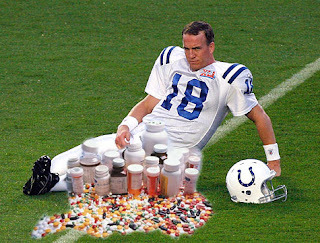 department nor Twitter entries from Irsay will put the genie back in the bottle regarding Peyton’s status. It will be the dominant story line of the week before the Super Bowl, rivaling the coverage of the game that will be played in seven days and eclipsing any of the feel-good angles emerging from the host city of Indianapolis. As to La Canfora’s report, and at the risk of violating the unwritten rule that a reporter shouldn’t speculate regarding another reporter’s sources, let’s go ahead and speculate regarding his sources. “According to sources who were involved in the Colts’ G.M. search, the organization was planning to move on from Manning weeks ago, well before this public squabble between the quarterback and his owner,” La Canfora said. 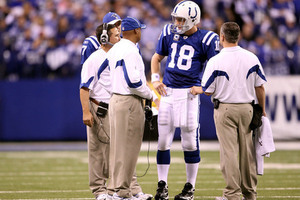 “Sources who were involved in the Colts’ G.M. search” quite possibly, if not probably, refers to candidates for the job who interviewed but weren’t hired. 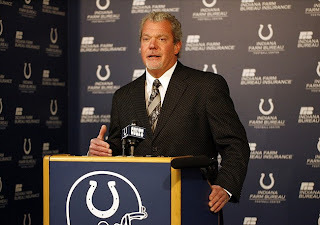 And those candidates would know that a decision was made if, during the interview process, Irsay or someone else from the Colts made it clear that the new G.M. won’t be confronted with that decision as his first order of business. It’s not unreasonable that such a statement would be made, since it would make the job more attractive if the new G.M. doesn’t have the burden of answering the $28 million question. The candidates who didn’t get the job were Falcons director of player personnel Les Snead, Falcons director of college scouting David Caldwell, Giants director of college scouting Marc Ross, Cowboys assistant director of scouting Tom Ciskowski, Colts director of player personnel Tom Telesco, and Montreal Alouettes G.M. Jim Popp. We’d also heard that former Saints and Dolphins G.M. 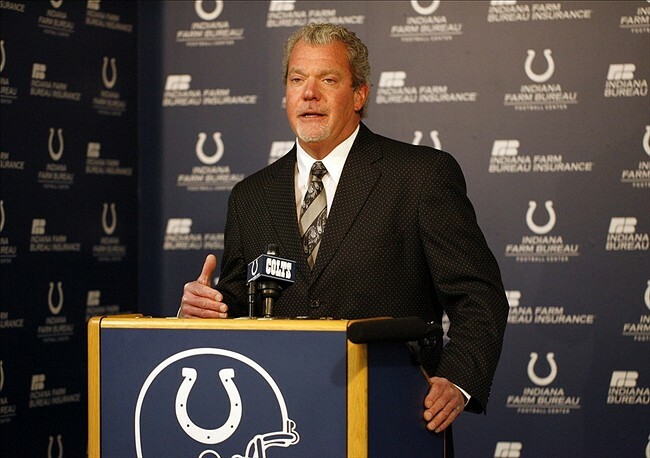 Randy Mueller was on Irsay’s radar, but it’s not known whether he was interviewed. 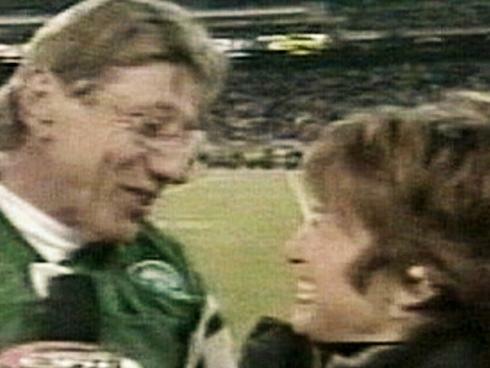 For many younger football fans, the name “Joe Namath” doesn’t conjure memories of Broadway Joe or Super Bowl III but a drunken pass at ESPN sideline reporter Suzy Kolber during a December 2003 edition of Sunday Night Football. His “I wanna kiss you” moment became the stuff of TV legend, even making its way into an epic auto-tune mash-up from D.J. Steve Porter, who coincidentally now crafts similar projects for the four-letter network. In an HBO documentary on Namath’s life, which debuted at 9:00 p.m. ET on Saturday, Kolber addresses the incident for the first time. Without saying “don’t blame us, we didn’t know Joe was drunk,” she seems to try a little too hard to offer up not-so-subtle excuses for not knowing Joe was drunk, even though perhaps everyone involved should have known, or at least suspected, that Joe was drunk. Especially once he started talking. Kolber creates the impression that she didn’t have any opportunity to observe his behavior (Namath admits that he’d been drinking all day and night) until the interview started. “When we were really getting to close to when our producer wanted to have him on, I took his arm because I just didn’t want him to walk away,” Kolber says. “I believe that anything anyone else has watched Chad play impresses me the same thing impresses them,” Namath said at the time, clumsily and awkwardly. None of this changes the fact that Namath was at fault for drinking too much and agreeing to go on camera and then acting like a jerk by saying “I wanna kiss you,” not once but twice. But I’ve been involved in the TV side of this business long enough now to realize that there are (or at least should be) layers of folks who when trouble pops up can make good decisions in the blink of an eye, or even faster. Still, until seeing Kolber’s roundabout effort to help ESPN continue to sidestep shrapnel for allowing the “I wanna kiss you” moment to happen by not ending the interview (or by never doing it in the first place), I never made the connection. Joe was always the bad guy, and ESPN and Kolber were always without blame of any kind. After hearing Kolber’s explanation, I’m starting to think that maybe a few tougher questions should have been asked back in late 2003. It’ll be interesting to see if any of those questions are asked now. Former Jaguars coach Jack Del Rio could have taken a year off and collected his full salary for 2012, the final year of his contract. Instead, he’ll go back to work, for no extra money. Adam Schefter of ESPN reports that Del Rio has been hired to serve as the Broncos’ defensive coordinator. The move reunites Del Rio with coach John Fox. They worked together in Carolina a decade ago, in Fox’s first year as coach of the Panthers. 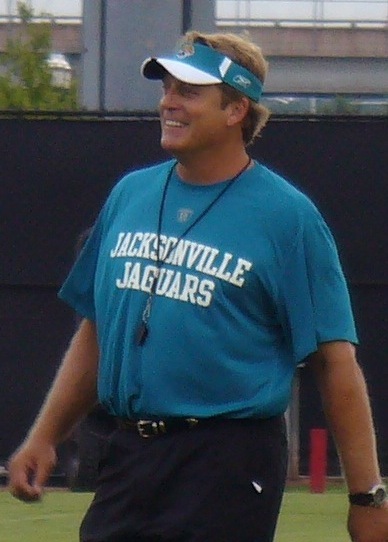 Del Rio served as defensive coordinator until becoming the Jaguars’ head coach in 2003. Multiple reports have come out today saying the Miami Dolphins are close to signing Cincinnati Bengals defensive backs coach Kevin Coyle as the team's new defensive coordinator. 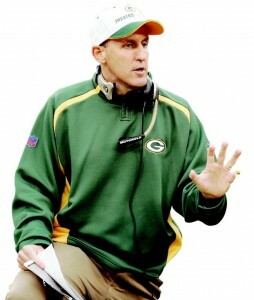 Coyle's hire would be the first by the team since making Joe Philbin the new head coach. "Bengals secondary coach Kevin Coyle concluded his interview with the Dolphins on Thursday. It is not wrapped up yet, but all indications are Coyle will be Miami's new defensive coordinator after 11 seasons here as the secondary coach." 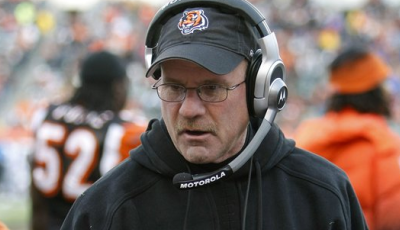 Coyle has served on the Cincinnati coaching staff for the past 11 seasons. His first two years with the team, his first job in the NFL, Coyle was the team's cornerbacks coach. Coyle was promoted to defensive backs coach in 2003, overseeing a defense that has intercepted 150 passes over the past nine years - 125 by defensive backs. The Tampa Bay Buccaneers will make Rutgers coach Greg Schiano their next head coach, league sources told NFL Network insider Jason La Canfora on Thursday. The Buccaneers later confirmed the move, and Tampa Bay general manager Mark Dominik told The Associated Press that Schiano will receive a five-year contract. The team scheduled a press conference for Friday to introduce Schiano, who inherits a team that allowed the most points in the NFL this season. "Coach Schiano is a bright, meticulous teacher who knows how to get the most out of his players," Dominik said. "He built and ran a pro-style program at Rutgers, and he's a defensive-minded coach whose teams have always been characterized by toughness and a physical style of play." League sources told La Canfora that the team notified other candidates of its decision on Thursday. The team was being cautious about making the hiring public after University of Oregon coach Chip Kelly changed his mind about joining the team just before a deal was signed. The Buccaneers have been searching for a head coach for most of this past month, but Schiano hadn't been publicly mentioned in connection with the vacancy until Thursday. La Canfora had reported earlier in the day that Tampa Bay was considering the Rutgers coach. Schiano, 45, was at Rutgers for 11 seasons, compiling a 68-67 record. The Scarlet Knights were 9-4 this season, including a 4-3 record in the Big East. "During our thorough search, we met with numerous impressive candidates, but Coach Schiano surely distinguished himself," team co-chairman Joel Glazer said. "From his leadership skills to his considerable track record, he is, simply put, the right man for the job." Former Green Bay coach Mike Sherman was among the candidates who lost out to Schiano, along with Carolina Panthers offensive coordinator Rob Chudzinski. Tennessee Titans defensive coordinator Jerry Gray, also a candidate, told The Tennessean that he had pulled out of the running for the position, an indication the Bucs had narrowed down its search. 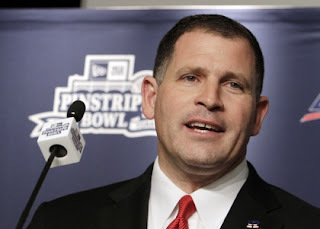 Schiano's coaching experience is mostly in college football, including stints at the University of Miami and Penn State University, but he did spend time with the Chicago Bears, serving as a defensive assistant from 1996-97 and as a defensive backfield coach in 1998. The Newark Star-Ledger had reported earlier this month that Schiano did not want to coach in the NFL after his name had been linked to vacancies. Schiano's contract with Rutgers runs through 2016 and pays him around $2.35 million per year. The Buccaneers have been looking for a new coach since they fired Raheem Morris following a 2-14 season. The Buccaneers are known to have interviewed Chudzinski, Gray, Kelly, Sherman, new Miami Dolphins head coach Joe Philbin, Green Bay Packers quarterbacks coach Tom Clements and former NFL head coaches Brad Childress and Marty Schottenheimer for the job. An 11th known candidate, ex-Dallas Cowboys coach and current Houston defensive coordinator Wade Phillips, canceled a scheduled interview that would have taken place while the Texans were in the playoffs. According to La Canfora, Childress and Sherman are candidates for several open offensive coordinator positions, with Cleveland interested in both. League sources told him that Miami, Indianapolis and Oakland are also possible landing spots. 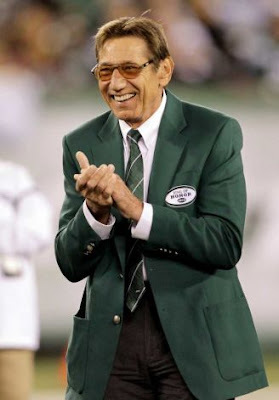 In the last few months, Joe Namath has said the Jets aren’t as smart as they think they are, ripped his old team as lacking talent, and even made a fat joke at Rex Ryan’s expense. And now, shockingly, Namath doesn’t have a great relationship with the team. Still, Namath seems to take some pride in the fact that his fundamental criticism of the Jets before the season — that they’re too cocky and not good enough to back it up on the field — was shown to be true. Ryan has said he’ll tone things down, so he may have decided that Namath was right to call that unique style into question. Even if Ryan probably won’t be thanking Namath for his input any time soon. On Tuesday, a guy who spent one year as a defensive coordinator was hired to be the new head coach of the Raiders. On Wednesday, word has emerged that a guy who spent one year as a defensive coordinator will be hired to be the new head coach of the Colts. 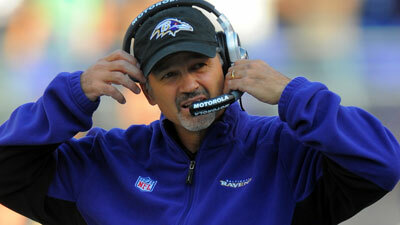 Per a source with knowledge of the situation, Ravens defensive coordinator Chuck Pagano will accept the job. Pagano, 51, spent the 2011 season as the coordinator of the Ravens defense, after spending three seasons as the team’s secondary coach. He also has coached with the Browns and Raiders at the NFL level, and at various colleges, including the University of Miami, East Carolina, UNLV, Boise State, and USC. To get him in position to be a head coach, one year as a defensive coordinator was plenty. And if Pagano displayed that kind of charm and wit at his interview with Jim Irsay, the two men surely hit it off. UPDATE 4:40 p.m. ET: The Colts have announced the move. A press conference will be held at 3:00 p.m. ET on Thursday. We wonder whether there will be more questions about Peyton Manning than references to Rob Lowe. 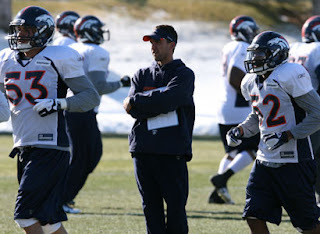 And the Denver Broncos will have yet another new defensive coordinator in 2012. Jay Glazer of FOX and Adam Schefter of ESPN report that the Raiders will hire Broncos defensive coordinator Dennis Allen to be Oakland’s new head coach. He’ll be the 19th coach in franchise history, and the ninth since the team returned from Los Angeles in 1995. Allen will be the first Raiders coach with a defensive background since John Madden, the longest-tenured coach in franchise history with nine seasons on the job. The 39-year-old Georgia native’s NFL career began with the Falcons in 2002. After four years in Atlanta, Allen joined Sean Payton in New Orleans, spending five seasons with the Saints. Allen uses a 4-3 defense, the same attack the Raiders currently employ. New G.M. Reggie McKenzie suggested during his introductory press conference that the team possibly will switch to a 3-4. With Steelers quarterback Ben Roethlisberger hobbling for much of the last six weeks and Patriots quarterback Tom Brady now exempt from the festivities (as if he would have gone anyway), many assumed that Broncos quarterback Tim Tebow would be invited to the Pro Bowl, given that he’s the second alternate. Bengals quarterback Andy Dalton, the first alternate, already has been called up, given that Brady will be getting ready for the Super Bowl. But a league source tells PFT that Roethlisberger will “definitely” make the trip to Hawaii, despite an ankle injury that he first suffered on December 8 — and that he apparently aggravated on multiple occasions. The Pro Bowl will be televised Sunday night on NBC. Which may explain why we suddenly have more than a cursory interest in it. Cowboys owner/coach/spokesman/G.M. 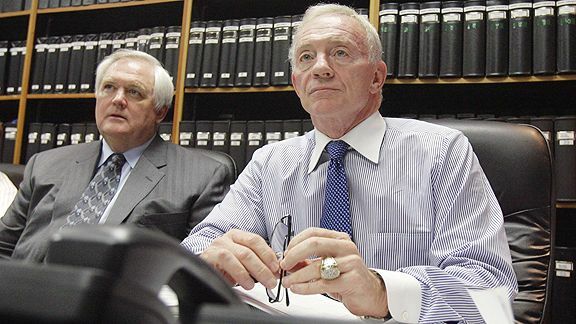 Jerry Jones was asked Monday at the Senior Bowl about the success of the Super Bowl bound New York Giants. In Jones’ estimation, the biggest difference between the Cowboys and the Giants is simple: Eli Manning. Ouch. Calvin Watkins on ESPNDallas.com reports that Jones subsequently offered praise for Tony Romo, possibly in an effort to put the toothpaste back in the tube. But the point seems clear. Jones essentially said that the 31-year-old quarterback of his division rival has a big edge over his own 31-year-old quarterback. Perhaps this was Jones’ way of sending a message to Romo that he won’t be coddled any more. Even if that’s true, I fully expect Jones to later “clarify” these words and make a show of support for Romo. It’s also worth wondering if Jones takes an overly simplistic view of what separates the two teams. We’d give the Giants the edge in terms of their pass rush, their coaching continuity, and their ability to make the right front office decisions. I'm really looking forward to the games tomorrow. I think both of them will be great! There seems to be a general buzz about a NY-NE Super Bowl, and I can't say I'm surprised... The New York - Boston rivalry seems to some how work its way to the top of every sport. I'm not convinced that either team will have an easy time getting there, though. There's a real possibility we could have a Harbaugh Bowl on our hands, too. That's what makes these games great; you can make an argument for each of the 4 remaining teams to win this weekend and even win the Super Bowl after that. We'll find out which of them does soon enough! Here are my picks for this week. 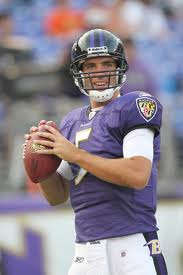 Flacco would quiet the critics with a great game. Oh, how I agonized over picking this game. The Ravens are a tough team to figure out. The offense has been criticized throughout the year, but when you look at their schedule, it was murderous. 2 games a piece against the Steelers, Bengals, and Browns, ranked 1st, 7th, and 10th respectively, in yards allowed. Harder to imagine than that is that they played all but one of the remaining teams in the top 10. The Ravens themselves come in at 3rd, and they had to play Houston (2nd) twice now, San Francisco (4th), the Jets (5th), the Jaguars (6th), and the Seahawks (9th). The Ravens offense has spent a long time playing against good defenses. The Patriots, however, don't have a good defense. They might have looked great against Denver, but that doesn't take much. Against the sub-par defenses of Arizona, Indy, and St. Louis, Flacco threw for a combined 952 yards, 5 TDs, and 2 INTs; not bad numbers. The Patriots have only kept opponents under 20 points 5 times this season, including last week's win over the Broncos. The Ravens have only had 5 opponents score 20+ points on them. The Patriots defense is bad enough to let the Ravens hang around in this game. Flacco isn't that bad of a quarterback. If he has time to throw against a bad secondary, he'll get the job done. Ray Rice will be having a field day as well. The Patriots offense looks unstoppable, but after seeing Green Bay and New Orleans get knocked off, I have a hard time picking them to cover a touchdown. This really feels like a "defense wins championships" season. If the Ravens can get even a few stops throughout the game, you have to think they'll be in it. The Patriots aren't good enough defensively to stop the Ravens from scoring. The Ravens defense is good enough to stop, or at least slow down the Pats. I've got to take the points. I can see this one coming down to one possession at the end of the game, and the Ravens might be the team winning it. Gore needs to be effective and take pressure off Alex. The Giants might not have had a good statistical defense during the season, but you sure wouldn't be able to guess that now. In my recap, I said I thought Aaron Rodgers probably deserved just as much credit for losing as the Giants did for winning, and I stand by that. The Giants defense still gets half the credit for that game, however, as they did a fine job of pressuring Rodgers and not allowing him to make any more throws than he did. Alex Smith takes more sacks than just about anyone, and there's no doubt that they'll be able to slow down the Niners passing game. San Francisco needs to hope to have an effective running game, early and often. If they can, they should be able to somewhat subdue the pass rush. The Giants finished 19th in rushing yards allowed in the regular season, and they gave up a couple of big runs to Ryan Grant last week. 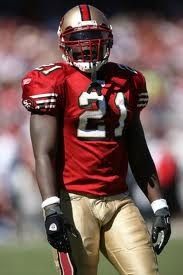 Frank Gore should be able to find enough success on the ground to keep the Niners in the game. And, if Alex Smith has somehow morphed into a consistently good QB (you have to hand it to the guy, he was amazing at the end of last week's game), they will have an even easier time moving the chains and scoring points. On the other side of the ball, the Giants are up against a Niners team that is a staggering +32 in turnover differential, including their playoff game against the Saints. 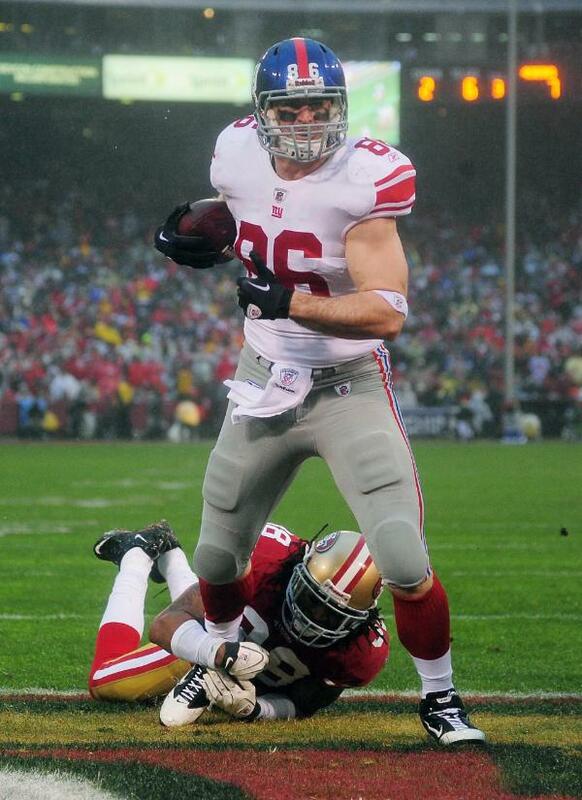 The Niners have 9 more takeaways and 12 fewer giveaways than the Giants at this point. As always, the defense should provide at least a couple of good opportunities for the offense to get points. The Giants inability to run the ball is another key mismatch for me. They only ran for 95 yards last week against the Packers, and they played the majority of that game with a lead. The Niners have the league's top-ranked run defense, and that should make the Giants pretty one-dimensional. While San Francisco has a propensity to give up big plays, evident last week, I think they're facing an easier challenge against this New York offense and I expect them to keep the Giants under 20 points. The offense should have enough success to put them over the top. I'll take San Francisco at home, where they are now 8-0-1 ATS this season. Now THAT was some football! As anticipated, the NFC games were great and both of the underdogs came out on top. 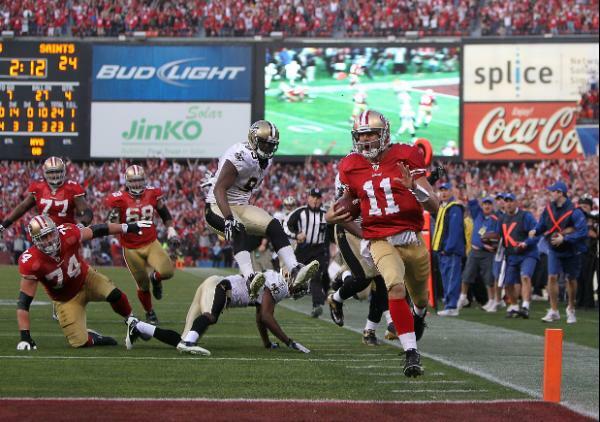 That Niners-Saints game has to be one of the best games I've ever watched in my life. Finishing at 3-0-1 last weekend didn't hurt anything either. I mentioned before the playoffs that I tend to struggle, but it seems like I'm dialed in this year. Sitting at 6-1-1 in the postseason so far, I'm in position to have my best postseason ever. Check back tomorrow for my picks on the two games this weekend. Here's the full recap on last week. None. Feels good to write that! Baltimore -7 over Houston: This is exactly why I advocated buying the half point. I talked to quite a few people that were burned because they took this line at 7.5. Houston's defense is extremely tough, and they're primed to come back as one of the top units next year. The media has been shredding Joe Flacco this week, but I don't think you can blame the offense for struggling against one of the top defenses in the NFL. He's got a huge opportunity to silence the critics this weekend. Baltimore's offense has to do better against the Pats. SF +3.5 over NO: What a game this was! The Niners covered for the majority of the game but that was a heck of a finish to get the win. I did not expect to see Alex Smith step up like that on the final drive. Coach Jim Harbaugh said he saw a bit of himself in Alex Smith before the season started, and it turns out maybe he was right. The Saints continue to struggle on the road. It's sort of a fluky game when you end up with 5 turnovers, but that's two consecutive seasons they've been knocked out by an NFC West team. They can't be happy about that. NE -13.5 over Denver: That's what happens when an over-achieving team coming off an emotional win plays a team much better than they are. This game was over before the first half. The Patriots have had great success in beating non-winning teams this season, so it'll be an interesting test against Baltimore on Sunday. If New England's defense can slow the Ravens down, they'll be in good shape. The Broncos have an interesting offseason ahead of them. 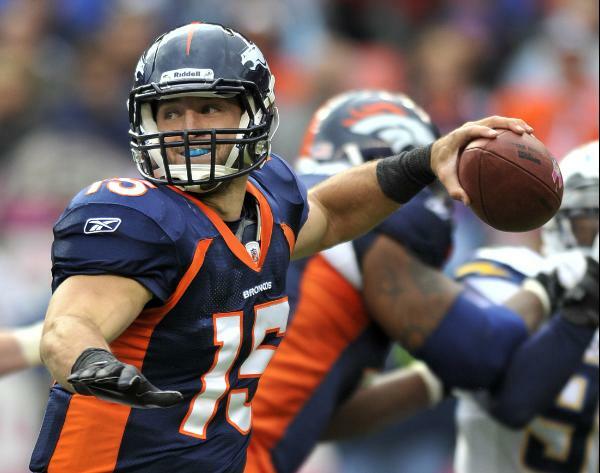 Will they keep Tebow, or do they focus on improving other key positions? NYG +7.5 over GB: This game was more about Aaron Rodgers having a bad day than the Giants playing well, I thought. Yes, the Giants scored over 30 points, yes, the defense kept the Packers in check, and yes, they had to beat atrocious officiating, but Rodgers was off all day. He missed several throws that would have continued drives or gone for TDs. I don't think the Giants are a bad team by any means, but they'll have their hands full this weekend. The Packers have to be disappointed being the first 15-1 team to not win a playoff game, but they'll be right back at the top of the heap next season. Late last week, the Tennessee Titans locked up No. 2 tight end Craig Stevens to a four-year contract worth nearly $15 million. Below is a breakdown of that contract, which according to a league source, is officially valued at $14.4 million. The signing bonus is prorated over four seasons, therefore add $1 million to his base salaries to determine Stevens' cap numbers. The $3.6 million APY ranks 19th among current tight end contracts, just below Visanthe Shiancoe's expiring five-year, $18.5 million contract with the Minnesota Vikings, which is pretty good for an effective blocker with 21 receptions in a 58-game career. Joe Philbin is the next head coach of the Miami Dolphins. The Dolphins made the decision to hire Philbin as their next coach today, multiple media outlets reported late Friday afternoon. Philbin had been the Packers’ offensive coordinator, and his personal story overshadowed football when his son died last week. After mourning his son during the week, Philbin was there with his team at Lambeau Field on Sunday. Now Philbin takes over a Dolphins franchise that has major question marks, particularly at quarterback. But there’s no question that Philbin is a coach who knows how to implement a strong passing game.